Duration: Most often each workshop is delivered during a weekend in Elefsina or Athens (Friday to Sunday) and work continues remotely for the next two weeks. At the end a skype-interview is arranged giving feedback for all projects. If you are interested on any one or all of these workshops do not hesitate to contact us, or click on the bar to the left on the name of the workshop. It is our intention to run workshops on database management, strategy, human resource management and marketing in the next two years. For registration apply below. After its original run in 2015 (Brand New Thinking: Branding Heritage Assets), this workshop also took place in 2016 and 2017. After its original run in 2015, this workshop, which is supported by the American Express Foundation and is offered in partnership with H2GrowthStrategies LLC, will be offered for a fifth year on 15-17 February 2019. After its original run in 2015, this workshop, which focuses on educating and training cultural/heritage managers to develop a successful strategy in order to attract the attention of key audiences through traditional, new and social media, will run for a fourth year on October 23-25 2018 in Elefsina. The workshop will be led by renowned media consultant Derwin Johnson. This workshop for the use and applications of digital technologies in heritage management will run for the first time on 12-16 June 2018. The workshop’s instructor, Cornelis Stal, is a lecturer and researcher at the University College Ghent and Ghent University (Belgium), where he is working on surveying engineering, geomatics and image-based 3D modelling. Organizing Temporary Exhibitions from your Collections and Touring Strategies. After its original run in 2016 in partnership with the Victoria and Albert Museum of London, this workshop will be repeated for a fourth year on 12-14 April 2019 and will be led by Rosie Wanek, Senior Exhibitions Manager at Somerset House and Dana Andrew, a freelance museum consultant and Executive Director of ICOM UK. After its original run in 2017, this workshop on Heritage Interpretation will run for a third time on 25 February-2 March 2019 in Elefsina. It will be led by Valya Stergioti, a Heritage Interpretation professional with more than 20-years of experience. After its original run in 2017, this workshop on the techniques of Interpretive Writing for Heritage will run for a second time time on 3-7 November 2018. It will be led by Steven Richards-Price, an Interpret Europe Training Team member and a heritage interpreter with many years of practical experience working for natural resources agencies in Wales, UK. After its original run in 2017, this workshop, which deals with the crucial subject of people management in not-for-profit Heritage Organizations, will run for a second year on November 23-25 2018 in Elefsina. The workshop will be led by Prof. Chris Brewster, who, in addition to his academic role and consultancy assignments for many private sector organizations, has worked with the United Nations, many of the UN organizations and agencies, the European Commission, the IFC and the AfDB, NGOs and other international organizations on various aspects of their own human resource management. After its original run on 2-4 May 2018, this workshop on strategic planning for heritage organizations will run for a second time on 3-5 May 2019. The course will be led by Asst. Prof. Alexandros Papalexandris, who, aside from his academic role, has more than 15 years’ research and consulting experience in the areas of strategy development and implementation. This course is for leaders and future leaders, who want to explore how heritage organisations can be engaging and relevant places of cultural vitality and communal memories. For leaders of the future where heritage is eloquent with meaning not silent, and reaches out to the many not the confines of a few. A course that helps heritage organisations adapt and evolve in a changing world, whilst preserving and promoting heritage values. Brand New Thinking for Heritage will challenge preconceptions. An apparent dichotomy between commercial market driven brand and values driven heritage will be interrogated. The argument will be presented that brand is grounded in heritage values and critical to the survival of our heritage organisations now and in the future. This four~day course will give you the tools to classify the ingredients of what a brand is: differentiate what “good” and “bad” looks like: and lead a brand process for a heritage organization in the future. The learning experience will be made up of a variety of experiences: presentations and masterclasses from external speakers: field work: group work and group presentations with peer to peer and facilitator feedback and 1:1 sessions. The course’s director, Frances Croxford, the founder of The Seeking State (www.theseekingstate.com), has over 20 years’ experience in the cultural, heritage and education sectors. She spent 10 years’ as the Product Developer at Tate Enterprises translating the brand into financial and emotional benefit for Tate and 10 years’ as a Managing Director of an International Branding Consultancy. In 2017, the course will be instructed by Louise McKinney, an associate of The Seeking State and founder of A-I-R, who specializes in strategic business developments in the cultural sector and has over 25 years’ experience working with public and private arts organizations at the highest level. The Seeking State, a UK company, is a creative consultancy seeking to help clients redefine the way we engage with culture. You have organised the best exhibition of the year, or set up a ground-breaking educational program. You have worked hard with curators, conservators, educators, everything is ready to rock, but now you wonder… how can I bring people in? How can I reach my audience, and what should I be telling them? Informing and engaging the public is a crucial process for the success and sustainability of heritage institutions. However, heritage-related university programs do not usually include any training in Communications, and heritage managers who cannot afford to revert to external experts might find themselves in serious troubles when it comes to communicate and promote what they are doing. Today, more than ever, it is critical that strong messages be part of an effective communications strategy for today’s leaders. By focusing more on content, when embracing traditional as well as social media, leaders can more effectively manage and enhance the reputation of their organizations. This 3-day interactive, content-driven course, is a focused learning experience that provides a systemic approach on how to successfully attract the attention of key audiences through traditional, new and social media. At the end of the workshop, participants will have a working guide to effectively communicate news, initiatives and announcements of their organization. 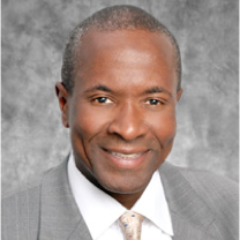 The workshop’s instructor, Derwin Johnson, has a 20-year experience as a journalist for CNN and ABC News and is a professional media consultant and trainer. The Heritage Management Organization supported by the American Express Foundation would like to announce a workshop in its Executive Leadership Program for Heritage Management entitled: ” Successful Fundraising: Strategies and Best Practices“. The workshop is delivered by Linda C. Hartley and Vivien Hoexter of H2Growth Strategies LLC. This workshop provides a survey of the fundraising strategies and skills needed to start-up and build an organization’s contributed revenue. Students learn best practices and apply them to create the framework for a development plan for their own organization or one chosen for them in consultation with instructors. There is a number of scholarships available by the Headley Trust, the American Express Foundation, and HERITΛGE (see official announcement). H2Growth Strategies LLC advises executive staff and board members to improve performance and increase leadership capacity for sustainable growth and impact. Working with mission-driven clients, H2Growth leverages its expertise and talents to create a more enlightened world. Services include strategic and succession planning, board development, leadership and CSR training, executive coaching, fundraising and advocacy. We thank the Foundation Center, New York, for providing this workshop an excerpt of the book Securing your Organization’s Future: A Complete Guide to Fundraising Strategies, by Michael Seltzer. This workshop explores the crucial subject of people management in not-for-profit Heritage Organizations. People are simultaneously the largest single item of operating costs and the only source of conservation, service and innovation. They are therefore the key asset in all organizations focused on those objectives and the management of people is a key concern for executives. During these 3 days, the importance of human resource management in not-for-profit organizations and the distinctive nature of such organizations (public and non-government; large and small) will be investigated. The different stages of management of employees and volunteers will also be examined, in an effort to identify the key issues and the practical options available to managers who are not HRM experts. The course involves working with the participants to surface their issues and concerns, to encourage mutual sharing and learning and to developing ideas and networks. The workshop’s leader, Chris Brewster, is Professor of International Human Resource Management at the Henley Business School, University of Reading, UK. In addition to his teaching role and consultancy assignments for many private sector organizations, Prof. Brewster has worked with the United Nations, many of the UN organizations and agencies, the European Commission, the IFC and the AfDB, NGOs and other international organizations on various aspects of their own human resource management. Heritage Interpretation is a structured approach to non-formal learning, specialized in communicating significant ideas about a place to visitors. During this six-day course, participants will familiarize themselves with the principles of a quality based method for Heritage Interpretation and will practice how to perform personal interpretation on their own. Participants will have the opportunity to obtain a certificate as Interpretive Guides from Interpret Europe – the European Association for Heritage Interpretation. The workshop’s instructor, Valya Stergioti, is a Training Coordinator for Interpret Europe and a freelance interpretive trainer and planner. She has more than 20 years of experience on organizing and implementing interpretive workshops about heritage for adults and children. During a 5-day course participants will discover and practise a wide range of techniques to engage readers and master the techniques of interpretive writing. Participants will also have the opportunity to strive to become a Certified Interpretive Writer awarded by Interpret Europe, the European Association for Heritage Interpretation, after successfully completing, and being assessed on, a set of exercises. The workshop’s instructor, Steven Richards-Price, is an Interpret Europe Training Team member, current Vice-Chair of Interpret Wales, and a heritage interpreter with many years of practical experience working for natural resources agencies in Wales, UK. This 3-day workshop focuses on how temporary exhibitions can enhance and promote the mission of a museum, create new audiences and generate revenue for an institution. Starting with a look at building institutional strategy for exhibition making and partnership building, participants will explore the process behind making temporary exhibitions for display at home and internationally. This will include identifying exhibition objectives, shaping the narrative and content to create a compelling visitor experience as well as the practicalities of actually delivering a project in another country. The workshop will encourage a discursive approach and participants are welcome to bring their own ideas and projects to the table. 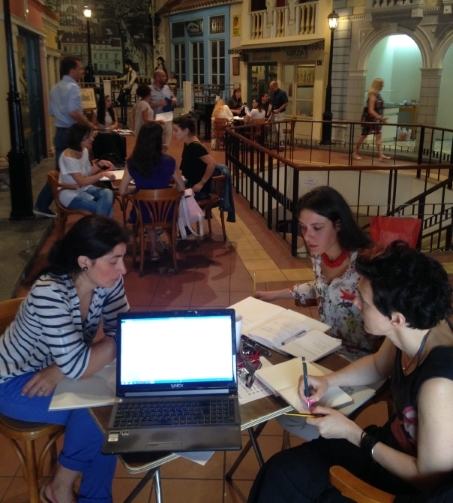 The course will be led by Rosie Wanek, Senior Exhibitions Manager, Somerset House, London, UK and Dana Andrew, freelance museum consultant and Executive Director of ICOM, UK. Digital image acquisition and processing offers a wide range of deliverables for the documentation of cultural heritage. 3D models, orthophotos or point clouds are indispensable tools for the documentation and monitoring of our heritage and allow a better understanding of the objects under research. The construction of these products is based on various concepts in photography, photogrammetry and computer vision, which are available via easy-to-use software and generally available hardware. During this workshop, various techniques will be addressed and demonstrated during lectures and hands-on field work. Participants will get familiar with various digital tools (photography, photogrammetry, 3D modelling and model referencing, 360° photography, and vectorization in CAD or GIS) by covering the entire workflow from image acquisition via data processing to model publishing. After this workshop, participants will be able to apply these techniques in a wide range of applications (heritage management, archaeology, curatorial work etc. ), concerning the various parameters for high quality 3D models and orthophotos. The workshop’s instructor, Cornelis Stal, is a lecturer and researcher at the University College Ghent and Ghent University (Belgium), where he is working on surveying engineering, geomatics and image-based 3D modelling. Within the framework of his research, he has participated in various archaeological and anthropological field campaigns, where the topics of this workshop are empirically implemented in an interdisciplinary context. This workshop is organized within the context of our organization’s mission to document the most historically significant structures of the city of Nafplion, the first capital of modern Greece, and which serves as the education arm of a larger research project conducted by the Heritage Management Organization in collaboration with CAST, ETH Zurich, Leica and other partners aiming to create and promote applications for the use of 3D documentation for heritage management.